Heather Foley is a Silver Spring mom to three rambunctious kids, Executive Director of Silver Spring Cares, an assistant teacher at Silver Spring Day School and ShepherdsTable board member. When she’s not out and about, she can be found at home tending to her garden and chickens. School has started (finally!) and everyone is getting into their groove. Now is a great time to start thinking about how you and your family can give back to the community. I know, I know. We’re all so busy but it’s never too early to instill a love of volunteering and a giving spirit, right? Plus, there’s always those SSL hours our older kids need to acquire to graduate. But where to start? And how can you fit it into your already jam-packed schedule? And who will take those gently used baby items taking up space in your closet? Silver Spring Cares to the rescue! 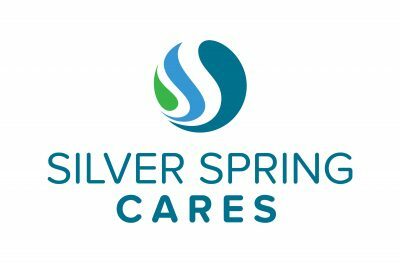 Silver Spring Cares creates an easy way for individuals and businesses in the community to engage with the network of Silver Springand Takoma Park area nonprofits that serve our community. Whether looking to donate items, donate funds, or donate time, Silver Spring Cares is the destination for information on community needs and opportunities for service. Each month be sure to check out our Kids Page for new tips and ideas on fun ways to have an impact on our community. Plus, we’re adding more and more local nonprofits each week. Silver Spring Cares is the brainchild of Liz Brent whose passion is connecting the needs of our more vulnerable neighbors with those with the ability to give. Sharing the same vision and passion, Heather came aboard to help make Silver Spring Cares come to life. Together they hope to make Silver Spring an even greater place to thrive. This month we have a volunteer from home opportunity! 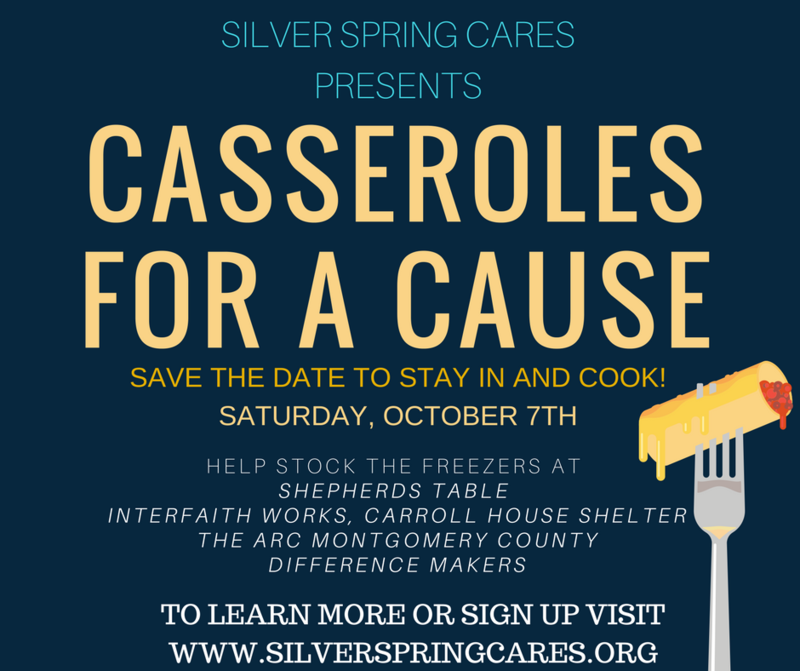 Participate in SIlver Spring Cares our first community-wide volunteer from home event, Casseroles for a Cause! We’re partnering with Shepherds Table, The Arc Montgomery, Difference Makers and Interfaith Works Carroll House to deliver 140 casseroles. Did you know that’s over 1,000 meals!? Volunteering to make a casserole helps to keep the freezers full for many of our most vulnerable neighbors. Your effort saves organizations and volunteers time, money and helps to eliminate any immediate food insecurity issues they may be experiencing. You know the saying, “Many hands make light work?” The same theory applies when a community comes together to help each other. I may be biased but I think Silver Spring is the most generous community in the America. Be sure to follow us on Facebook and Twitter too. There we offer immediate donation needs and volunteer opportunities requested by organizations. I hope you’ll join us and continue to help make Silver Spring a great place to thrive.